Skyridge Villa, situated on the crest of the peninsula, allows a dazzling 360 degree panorama, all the while softly caressed by the Caribbean breezes. 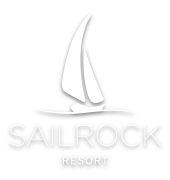 A very private setting yet only a short drive to Sailrock Resort with full amenities. Enjoy morning coffee on the east terrace as the sun comes up and tropical birds serenade. 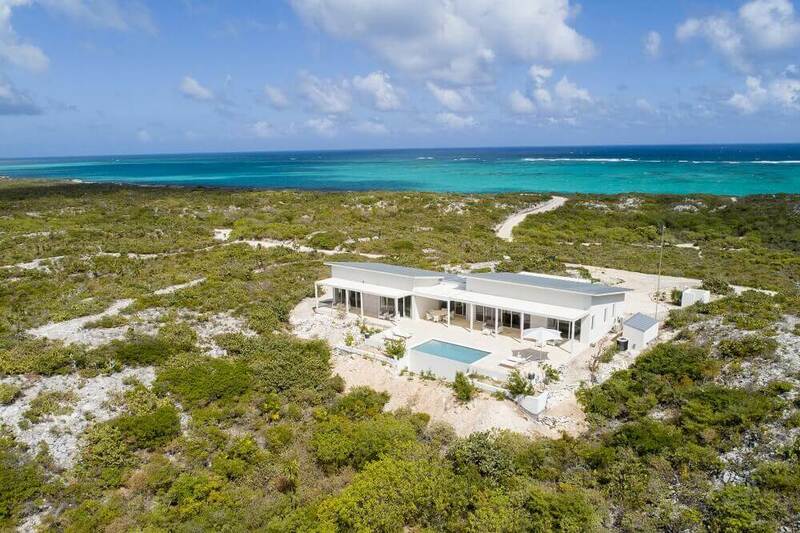 Three bedrooms (two King beds and 1 queen), all with full en-suite, all with endless views of the multi-hued Caicos Banks can accommodate 6. Write or compose at the bedroom/office desk, although the view may be somewhat distracting. Multiple seating areas allow for the perfect location to relax and unwind, be your wish for sun or for shade, twisting by the heated infinity pool or snoozing on the pool side loungers under the umbrella. A full equipped chef’s kitchen, with large island, provides the perfect setting for creating culinary delights which can then be enjoyed at either the great room dining table or at the large patio table in the screened porch. Open the sliding glass foyer wall to let the outside in. The combination of dark re-purposed Brazilian barn wood furniture and cream coloured sofa and arm chairs provide for a fresh clean tropical decor. The great room boasts WiFi, a large flat screen TV along with a Sonos system and CD/DVD player. The ideal island getaway, tranquil and serene, invites relaxed “barefoot” living. Breathtaking views defy belief but can easily convince you are the only folks on the planet. And when the gentle night envelopes the stars, seemingly so close as to be able to grasp one, will charm and captivate. For Villa reservations, please call our dedicated Villa reservations line at 800-929-7197 or fill out the form below.